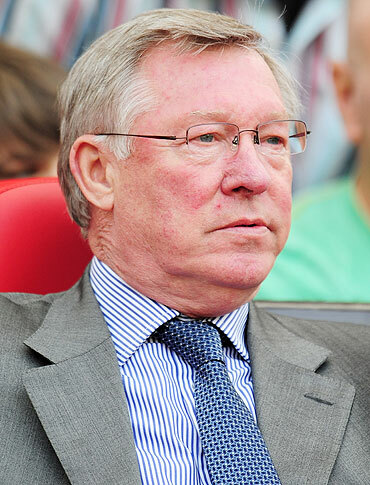 Manchester United manager Alex Ferguson faces a delicate balancing act of picking a strong enough side to reach the Champions League final while resting the players he needs for this week's domestic showdown. After securing a comfortable 2-0 at Schalke 04 in their semi-final first leg last week, Ferguson was already talking about making changes for Wednesday's return leg at Old Trafford and the need has since become even greater. United's lead at the top of the Premier League was trimmed to three points this weekend to set up Sunday's match at home to Chelsea as a potential title decider. The London side would go ahead on goal difference with victory. "We'll regroup and get them freshened up. I'll make some changes, without question, on Wednesday," Ferguson told MUTV after his side lost 1-0 at Arsenal on Sunday to throw open a title race that United had looked to have well under control. 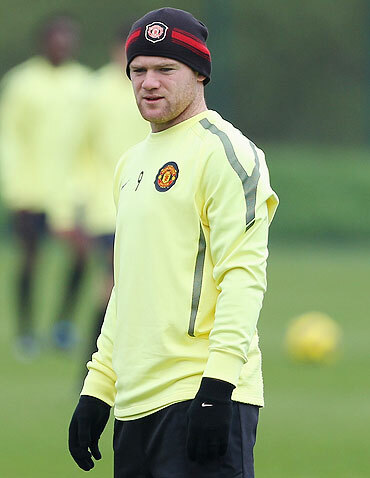 "We'll bring Paul Scholes back in. Dimitar Berbatov, Michael Owen, fresh players. We need to do that but, also, I've probably got to keep experienced players at the back." That would point to captain Nemanja Vidic keeping up his commanding central defensive partnership with Rio Ferdinand and if Schalke are anywhere near as toothless as last week, the duo would not expend too much energy. It will hardly be a second-string side if it features the Premier League's top scorer Berbatov and evergreen midfielder Scholes, but it will be weaker. Midfielder Ryan Giggs, who became the oldest scorer in the Champions League at 37 years and 148 days when he struck the first goal last week, is unlikely to be rushed back after missing the Arsenal game through illness. The first leg's other scorer Wayne Rooney is also a prime candidate to be rested as the striker has been excelling in a new deeper-lying role behind Javier Hernandez that is as energy-sapping as it is devastating to defences. Schalke travel to Manchester needing goals but know United have conceded only three times in 11 matches in the competition this season, suggesting the English side will reach their third final in four years. 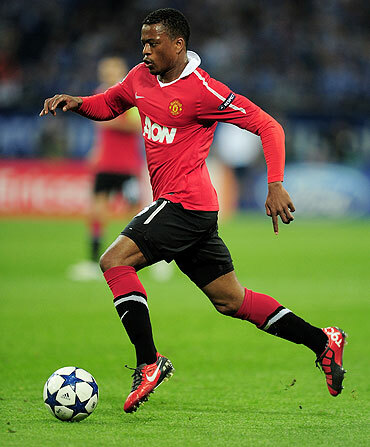 United defender Patrice Evra was, however, keen to remind his team mates they could not afford to think they had done enough to reach the May 28 final at Wembley, having experienced a Champions League turnaround in his Monaco days. "In football, you never know because I remember when I was playing with Monaco, we lost in the Bernabeu 4-2 and Madrid thought they were going to the semi-final. But in the second leg we won 3-1," he told MUTV referring to his 2004 experience. While that could inspire Schalke, the reality is they will need to become a different side from the one that barely put up a fight at home last week. 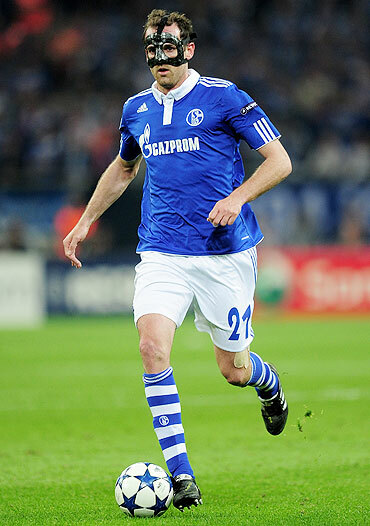 "We must be much more compact and aggressive than we were in the first game," defender Christoph Metzelder said. "In playing terms, we are not as strong in comparison with Manchester United and therefore we must surpass ourselves in other aspects. If we are going to pull off a miracle, we must do a hell of a job." The winners will face either Barcelona or Real Madrid, who play on Tuesday with Barca holding a 2-0 advantage before hosting their La Liga rivals. Manchester United: 1-Edwin Van der Sar; 22-John O'Shea, 15-Nemanja Vidic, 5-Rio Ferdinand, 3-Patrice Evra; 8-Anderson, 24-Darren Fletcher, 18-Paul Scholes, 25-Antonio Valencia; 9-Dimitar Berbatov, 7-Michael Owen. Schalke 04: 1-Manuel Neuer; 2-Atsuto Uchida, 21-Christoph Metzelder, 32-Joel Matip, 2-Hans Sarpei; 14-Kyriakos Papadopoulos, 18-Jose Manuel Jurado, 11-Alexander Baumjohann; 17-Jefferson Farfan, 7-Raul; 9-Edu.